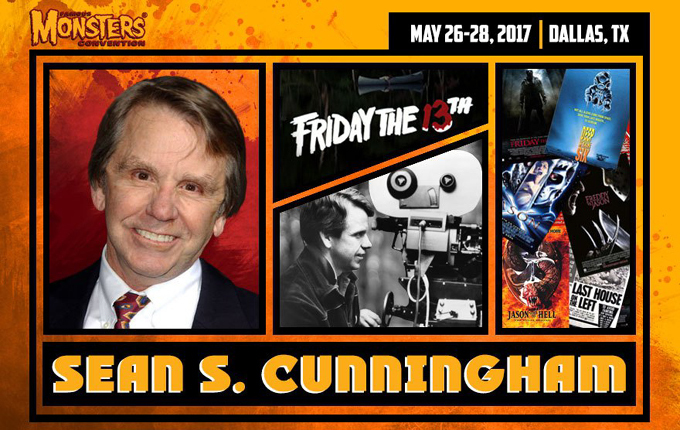 Although Sean Cunningham's involvement with later films in the franchise continues to have mixed reactions from the fans, there is no denying that his willingness to re-create the success of John Carpenter's Halloween helped usher in a new era of Horror films in the 1980's, starting with his directorial effort, Friday The 13th. Sean's film is a seminal classic that spawned one of the most financially successful franchises in the history of film and helped create one of the most iconic characters in the world that still resonates with fans to this day. Famous Monsters Convention is holding their latest convention very soon, which takes place the weekend of May 26-28 in Dallas, Texas! The weekend event is not only highlighted by Sean Cunningham, but also by the attendance of the creators of the upcoming Friday The 13th: The Game, Gun Media. They will be giving away free copies of the game to those who stop by their booth to say hello and ask questions. The weekend promises to be a great experience and lots of fun hanging out with Sean and Gun Media. Make sure to check out the Famous Monster website linked above for more information on that weekend!